After Julius Caesar triumphs over Gaul, the druid Ainvar and his three wives sail west to the brilliant green island of Hibernia. Here, Ainvar and his clan try to reestablish themselves. perfect blend of history and fiction to tell the story of how druids arrive in Ireland. 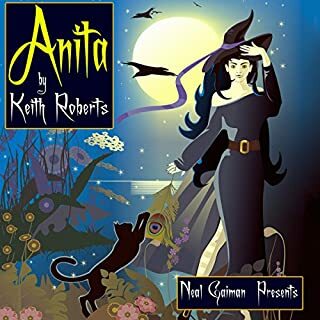 This is filled with a series of short stories about Anita a young witch who lives with her Granny. It has wonderful parts that you wish would go on into a full book, but it is nice to get a break if you have other things to do, otherwise these stories wouldn't let you put them down until you had read the whole thing. Sad when they come to an end. 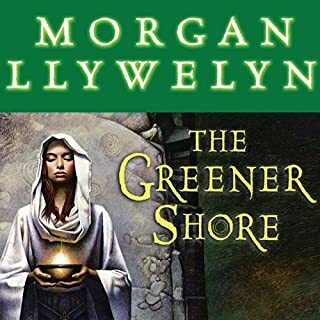 The narrator is delightful and has a wonderful nack for the accents in the story. If you like magic, familiars, time travel, mermaids or the like you will really enjoy this series of short stories. If you like Irish / Scottish folk tales or better yet are into Druids, you will enjoy this book. At first it is wierd that the author includes many references to things a college age person of our current age would be into and say, but get past that and you will really enjoy this book. Don't expect a Morgan Llywellyn style reallistic approach to history. The author plays with the Celtic gods and they make very believeable villians and love interests for the main character. In addition there are werewolves, vampires and witches (oh my! ), which of course are living amongst us, but we mere mortals just have no idea. 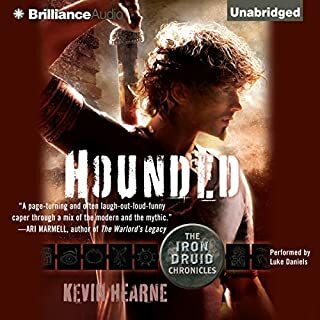 The narrater does a good job of capturing each character's personality, especially the hound! By the end you will wish it was longer, even though at first listen it is a bit contrived. I plan to continue with the rest of the series, gotta see what happens next.